Acromioplasty refers to surgical removal of the anterior inferior hook of the acromion, which is implicated in the pathogenesis of impingement syndrome. The result is a flat acromial undersurface. Subacromial decompression involves an acromioplasty with removal of the coracoacromial ligament, bursectomy, subacromial osteophyte removal, and adhesion removal. This procedure is performed most commonly in isolation in cases of impingement syndrome, less than 50% partial thickness tears, and massive, irreparable tears. (See previous discussion for details of impingement syndrome, partial-, and full-thickness tear surgery). It also can be used in combination with repair in greater than 50% partial-thickness tears and full-thickness tears. This procedure can be performed open or arthroscopically. Pathology of the acromioclavicular joint is seen frequently in the active and athletic populations primarily from trauma, and in the elderly from a degenerative process. Initial treatment is with nonsteroidal anti-inflammatory drugs and corticosteroid injections; however, surgery can be used for those who fail conservative treatment. It is important to distinguish those patients who have AC joint pain from joint instability (in which a stabilization procedure may be warranted) or isolated meniscal pathology (in which an isolated menis-cal procedure may be indicated) from most patients who have focal AC osteo-arthritis. In this latter group, in which degenerative changes have occurred in the articulation, isolated excision of the AC joint is the treatment of choice. The traditional open approach involves an incision over the AC joint and division and detachment of the deltoid and trapezius muscular fascia followed by excision of 2 cm of distal clavicle . If necessary, a subacromial decompression may be performed by way of the same incision. Arthroscopic technique spares the deltoid and trapezial fibers and can be done through portals just over the AC joint (superior approach) or by way of those portals used for traditional shoulder arthroscopy (subacromial approach). Snyder and colleagues  report 94% good or excellent outcome at an average of 2 years following arthroscopic distal clavicle resection by way of the subacromial approach. There is no consensus as to the appropriate amount of distal clavicle or medial acromion that should be resected. Although Snyder and colleagues  removed an average of 14.8 mm of distal clavicle, Levine , who reports 88% excellent or good outcomes, resected an average of 5.4 mm. Care is taken to keep the superior capsule of the AC joint intact to avoid postoperative instability. Subacromial decompression for impingement can be performed alone or more commonly in conjunction with rotator cuff repair. This procedure also can be performed as an open, arthroscopic, or mini-open procedure [1,3,6]. A burr or shaver is used to remove the anterior third and inferior aspect of the acromion, with care not to remove too much cortical bone [1,3,6,8]. Aggressive decompression can predispose to deltoid detachment or acromion fracture. The subdeltoid bursa often is inflamed and resected [1,6]. Complete or partial removal of the coracoacromial ligament usually is performed also . If there are clinical or imaging signs of acromioclavicular osteoarthritis, the inferior os-teophytes with or without the lateral aspect of the clavicle (Mumford procedure) can be resected [1,6,8]. The typical MRI appearance following subacromial decompression includes a flattened acromial surface, type 1 shape, and nonvisualization of the anterior third of the acromion [1,3,6]. There is shortening of the anterior acromion and decreased signal on T1- and T2-weighted images in the distal acromion from marrow fibrosis [1,3]. Artifact is common from the shavings created by the burr. The coracoacromial ligament typically is absent and scar tissue may fill in at the postoperative site [1,3,6]. There can be widening of the AC joint if the distal clavicle is resected . These findings are seen best on the sagittal images [2,3]. 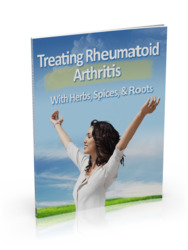 Did You Know That Herbs and Spices Have Been Used to Treat Rheumatoid Arthritis Successfully for Thousands of Years Do you suffer with rheumatoid arthritis Would you like to know which herbs and spices naturally reduce inflammation and pain 'Treating Rheumatoid Arthritis with Herbs, Spices and Roots' is a short report which shows you where to start. Is exicsion of the inferior clavicle included in subacromial decompessison?